The mammary gland is classified as a branched tubuloalveolar structure with hormone-responsive lobules surrounded by a loose connective tissue stroma. The glands making up the breast are embedded in adipose tissue separated by bands of connective tissue. The breast is unique in that it completes the majority of its development after birth undergoing hormonally regulated changes during puberty. It varies moderately during each menstrual cycle, develops additionally during pregnancy, and differentiates following parturition during the process of lactation. The breast regresses after lactation to a much less differentiated state through the process of involution, which occurs following each cycle of pregnancy, parturition, and lactation. Following reduction of estrogen and progesterone at menopause, the breast involutes, reverting to a near prepubertal structure. These complex developmental processes are controlled by a combination of hormonal stimulation, growth factors, and other physical elements constituting the microenvironment of the mammary gland. We remain extremely grateful to colleagues for their critical reading of the original chapter, and we again thank Richard Conran, M.D. Ph.D., J.D., and Stephen Rothwell, Ph.D., for providing specimens for the micrographs included herein. The opinions or assertions contained herein are the private ones of the authors and are not to be construed as official or reflecting the views of the Department of Defense or the Uniformed Services University of the Health Sciences. Differences between human and murine breasts include the following: (1) The mouse has a well-defined “fat pad” stroma into which its ductwork grows. Human stroma is much more fibrous. (2) The functional unit of the human is the terminal ductal lobular unit (TDLU), which has the appearance of a bunch of grapes arising from a stem (duct) and is embedded in loose connective tissue. The comparable mouse structure is the lobuloalveolar unit. It also contains alveoli and ductwork. However, during murine development, the terminal end bud (TEB), a solid bulbous structure, is most often referred to in the literature. (3) Male mouse mammary glands regress prenatally under the influence of androgens, but infant human breasts are indistinguishable by gender. (4) Estrogen receptor alpha (ERα) is found in epithelia and stroma in the mouse, but while expressed in human breast epithelial cells, it has not been documented in human breast stroma. (5) The mouse has five pairs of mammary glands, each pair regulated by slightly different factors, while the human has just one pair (Table 1.2). Swaminathan N. Strange but true: males can lactate. Sci Am. 2007. Available from: www.sciam.com. Pathology UoVDo. I. Gross anatomy and histology. Charlottesville 1998–2007; Available from: www.med-ed.virginia.edu/courses/path/gyn/breast1.cfm. Dunbar ME, Wysolmerski JJ. The role of parathyroid hormone-related protein (PTHrP) in mammary development, lactation, and breast cancer. 1996; Available from: http://mammary.nih.gov/reviews/development/Wyso1001/slides/introduction.html. Neville MC. Milk secretion: an overview. Denver, CO1998 [updated 199807/31/2007]; Available from: http://mammary.nih.gov/Reviews/lactation/Neville001/index.html. Jaggi R. Morphological changes during programmed cell death (PCD) in the involuting mouse mammary gland. 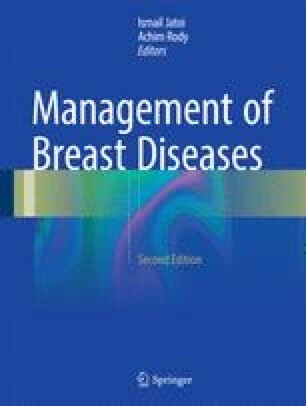 1996; Available from: http://mammary.nih.gov/reviews/development/Jaggi001/index.html.